Houston has plenty to offer residents, from the Museum of Fine Arts to Minute Maid Park. 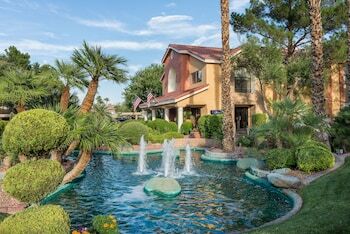 However, with natural wonders such as the Red Rock Canyon and world-class shows such as the Bellagio Fountains, Las Vegas also offers a change of pace. 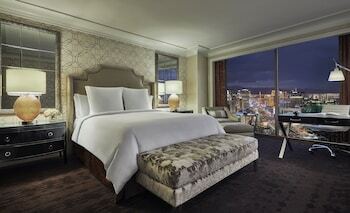 When you travel from Houston to Las Vegas, check out Orbitz.com to find sales on flights and more. Houston Intercontinental Airport, also known as George Bush Intercontinental Airport, is located at 2800 North Terminal Rd, about 30 minutes from the city center. Some airlines that fly out of this airport include American, Delta and United. To get to the airport, you should drive your own car or take the bus. Bus fare is the least expensive option, costing between $1.25 and $4.50, depending on the length of the trip. If you drive your own car to the airport, you can park at the terminal or at an off-site economy parking lot. Parking at the terminal costs $17 per day, and parking in an economy lot can cost as little as $4 per day, depending on the location. Many economy parking lots offer a free shuttle to the terminal. Once you're at the airport, you can grab a bite to eat at Fuddrucker's, Starbucks or any of the other eateries in the terminal. 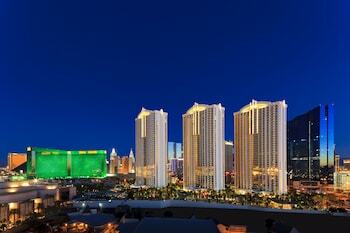 Las Vegas is most well-known for its casinos, such as Caesar's Palace and the MGM Grand. However, the city also has fantastic shows, such as Cirque du Soleil, and relaxing spas in various hotels, such as the Mandarin Oriental. 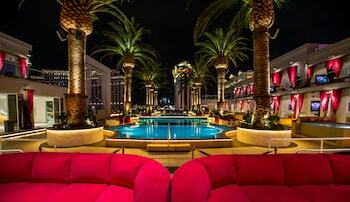 When you go to Las Vegas, you're sure to have a multifaceted experience. McCarran International Airport, located at 5757 Wayne Newton Boulevard, is less than 10 minutes from the Las Vegas Strip. This airport has many passenger services, including an aviation museum and a children's play area. To get from the airport to your final destination, you can rent a car, hire a taxi, take a shuttle or ride the bus. A taxi ride will generally cost between $12 and $27, depending on the destination. A shared shuttle ride will cost between $6 and $9, depending on the destination. Buses only cost $2 per ride, making it the most economical option. A rental car will give you the most freedom and will generally cost about $40 a day. 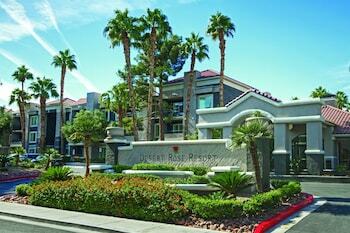 Summer in Las Vegas gets very hot, with average temperatures ranging from 75 to 104 degrees Fahrenheit. Winters are cooler, with average temperatures ranging between 39 and 63 degrees. Fall and spring have moderate temperatures between the two extremes. Las Vegas receives little rain, so you usually don't have to worry about it ruining your trip. 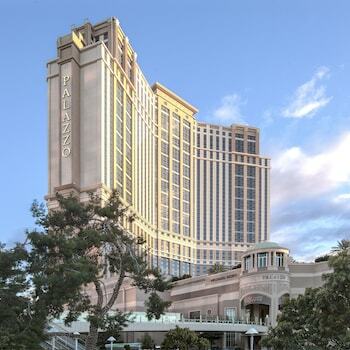 Once you're in the city, you can gamble at one of the resorts, such as the Wynn Las Vegas. 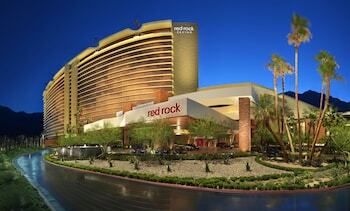 You can also get a rush of adrenaline at Vegas Indoor Skydiving or the Richard Petty Driving Experience. 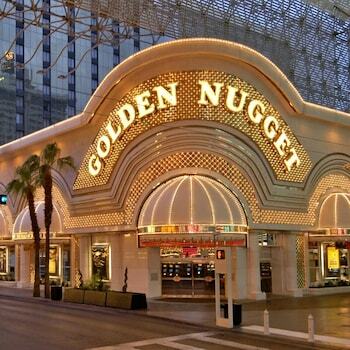 With all the attractions the city has to offer, your trip to Las Vegas is sure to be an exciting one. 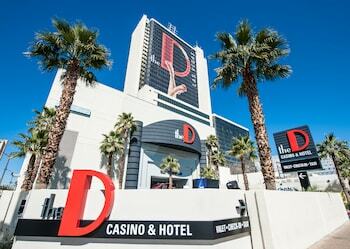 When you go from Houston to Las Vegas, you'll be transported from a classic metropolis to a bustling city with the most active nightlife around. Book your trip through Orbitz.com to find low-cost airfare, hotel rooms and more. Orbitz can save you time and money. William P. Hobby - McCarran Intl.